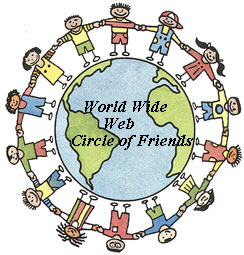 David is the Scottish Correspondent for the World Wide Web Circle of Friends even though he now lives in Essex, England. This is an extract from a piece written by Kim Lasky in a series she wrote on "Mersea Life", in which she looked at island people, news and events. Her community news column appeared every Tuesday in Colchester's Evening Gazette, and "Mersea Matters" every week, in the Essex County Standard. People keep all kinds of junk in their garages, but David Boland-Thoms often finds his full of aircraft seats and, on occasion, the odd helicopter door panel. Most people in Mersea know about his skills at making and repairing anything in leather, but many don't realise his skills extend to fitting out the interiors of private jets*. Worn seats and scuffed door panels are all in a day's work for Mr Boland-Thoms, whose clients come from all over the country. He estimates it takes just over an hour to renovate an average door panel, patching up torn leather and mixing his own dyes to get a perfect match. "These things have to be done quite quickly," he explains, "particularly pilot's seats - after all , they can't just throw in an orange box and carry on flying the plane," he laughs. In fact Mr Boland-Thoms is a very versatile man. And he will put anything to use. A wardrobe which was no longer needed inspired the design of wood and leather bellows, and a piece of carpet donated by a friend has been turned into a smart range of carpet bags with tan leather handles. Cherished possessions have been carefully restored for clients, including an eighty-year old crocodile-skin handbag which, he says, was so brittle it was almost impossible to work on. Yet he has never had any formal training. His interest began when he was handed some leather and tools for occupational therapy when he was hospitalised as a youngster. This inspired a lifelong hobby which has now become the Kingsmere Crafts business. Mr Boland-Thoms says he has been planning to retire, but his clients won't let him. Who can blame them? Where else could you find someone to repair anything from an ancient crocodile-skin handbag to the leather door panel of a helicopter? *The part I play is minimal besides that of Covertrim (UK) Ltd, whose website you can access via my Homepage. David tells us that this was written a couple of years ago and he has now in fact retired. More or less. There are those, who from time to time, prevail upon him to practise his skills on their behalf! He does repairs as well to almost anything made from leather, and he has a constant stream of callers with everything from two pairs of sandals to three ww2 flying jackets. Boy, is his needle and thread in demand! He has even had an email from a lady who wanted to know where she could buy a CD with the music I have on the index page and page 61 of my website. Oui, cela va sans dire!